If you’re not already in love with essay collections, you will be after exploring this list. From schizophrenia to immigration to the secrets we keep from our moms, the engaging topics in these seven books make for fascinating reading. Whether you can only read one essay at a time or want to binge-read a title in one sitting, there’s something here for you. The good news is that this list only covers February through April, meaning you can expect to find even more essay collections to devour in 2019 after you breeze through the ones below. Why You’ll Love It: Nishta J. Mehra’s honest essays weave a powerful portrait of two mothers raising their adopted son in modern America. Description: Brown White Black is a portrait of Nishta J. Mehra’s family: her wife, who is white; her adopted child, Shiv, who is black; and their experiences dealing with America’s rigid ideas of race, gender and sexuality. Her clear-eyed and incisive writing on her family’s daily struggle to make space for themselves amid racial intolerance and stereotypes personalizes some of America’s most fraught issues. Mehra writes candidly about her efforts to protect and shelter Shiv from racial slurs on the playground and from intrusive questions by strangers while educating her child on the realities and dangers of being black in America. In other essays, she discusses growing up in the racially polarized city of Memphis; coming out as queer; being an adoptive mother who is brown; and what it’s like to be constantly confronted by people’s confusion, concern and expectations about her child and her family. Above all, Mehra argues passionately for a more nuanced and compassionate understanding of identity and family. 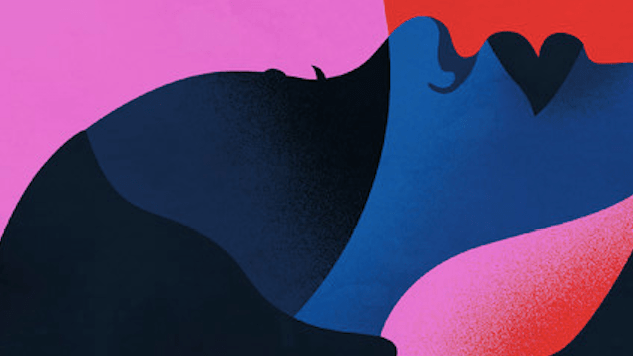 Why You’ll Love It: Esmé Weijun Wang’s compelling essays highlight the humanity behind a schizophrenia diagnosis, delivering a necessary read tackling mental illness. Description: Schizophrenia is not a single unifying diagnosis, and Esmé Weijun Wang writes not just to her fellow members of the “collected schizophrenias” but to those who wish to understand it as well. Opening with the journey toward her diagnosis of schizoaffective disorder, Wang discusses the medical community’s own disagreement about labels and procedures for diagnosing those with mental illness, and then follows an arc that examines the manifestations of schizophrenia in her life. In essays that range from using fashion to present as high-functioning to the depths of a rare form of psychosis, and from the failures of the higher education system and the dangers of institutionalization to the complexity of compounding factors such as PTSD and Lyme disease, Wang’s analytical eye, honed as a former lab researcher at Stanford, allows her to balance research with personal narrative. An essay collection of undeniable power, The Collected Schizophrenias dispels misconceptions and provides insight into a condition long misunderstood. Why You’ll Love It: It’s Toni Morrison’s new collection of nonfiction pieces; what else do you need to know? Description: Brimming with the literary prowess and moral compass that are Toni Morrison’s inimitable hallmark, The Source of Self-Regard is divided into three parts: the first is introduced by a powerful prayer for the dead of 9/11; the second by a searching meditation on Martin Luther King Jr.; and the last by a heart-wrenching eulogy for James Baldwin. In the writings and speeches included here, Morrison takes on contested social issues: the foreigner, female empowerment, the press, money, “black matter(s)” and human rights. She looks at enduring matters of culture: the role of the artist in society, the literary imagination, the Afro-American presence in American literature and, in her Nobel lecture, the power of language itself. In all, The Source of Self-Regard is a luminous and essential addition to Toni Morrison’s oeuvre. Why You’ll Love It: Ayelet Tsabari’s emotional memoir-in-essays examines grief and the meaning of “home” while chronicling her travels across the globe. Description: This searching collection opens with the death of Ayelet Tsabari’s father when she was just nine years old. His passing left her feeling rootless, devastated and driven to question her complex identity as an Israeli of Yemeni descent in a country that suppressed and devalued her ancestors’ traditions. In The Art of Leaving, Tsabari tells her story, from her early love of writing and words, to her rebellion during her mandatory service in the Israeli army. She travels from Israel to New York, Canada, Thailand and India, falling in and out of love with countries, men and women, drugs and alcohol, running away from responsibilities and refusing to settle in one place. She recounts her first marriage, her struggle to define herself as a writer in a new language, her decision to become a mother and, finally, her rediscovery and embrace of her family history—a history marked by generations of headstrong women who struggled to choose between their hearts and their homes. Eventually, she realizes that she must reconcile the memories of her father and the sadness of her past if she is ever going to come to terms with herself. Why You’ll Love It: This “collection of essays by first- and second-generation immigrants” is as engaging as it is necessary, especially in today’s political climate. exploring what it’s like to be othered in an increasingly divided America. 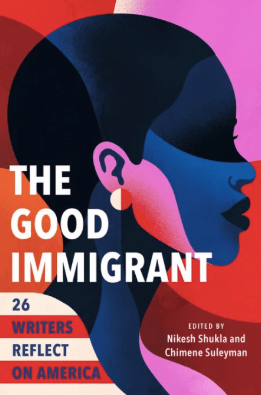 By turns heartbreaking and hilarious, troubling and uplifting, the essays in The Good Immigrant come together to create a provocative, conversation-sparking, multivocal portrait of America now. Description: From Trump’s proposed border wall and travel ban to the marching of White Supremacists in Charlottesville, America is consumed by tensions over immigration and the question of which bodies are welcome. In this much-anticipated follow-up to the bestselling UK edition, editors Nikesh Shukla and Chimene Suleyman hand the microphone to an incredible range of writers whose humanity and right to be here is under attack. Chigozie Obioma unpacks an Igbo proverb that helped him navigate his journey to America from Nigeria. Jenny Zhang analyzes cultural appropriation in ‘90s fashion, recalling her own pain and confusion as a teenager trying to fit in. Fatimah Asghar describes the flood of memory and emotion triggered by an encounter with an Uber driver from Kashmir. Alexander Chee writes of a visit to Korea that changed his relationship to his heritage. These writers, and the many others in this singular collection, share powerful personal stories of living between cultures and languages while struggling to figure out who they are and where they belong. Why You’ll Love It: Published posthumously, this final essay collection from Dr. Oliver Sacks celebrates his myriad interests—from swimming to Alzheimer’s case histories—and proves to be a captivating addition to his bibliography. Description: Dr. Oliver Sacks, scientist and storyteller, is beloved by readers for his neurological case histories and his fascination and familiarity with human behavior at its most unexpected and unfamiliar. Everything in Its Place is a celebration of Sacks’ myriad interests, told with his characteristic compassion and erudition. In several of the compassionate case histories included here, he unravels the enigmas of depression, psychosis and schizophrenia for the first time, and he also returns to conditions that have long fascinated him: Tourette’s syndrome, aging, dementia, dreaming, hallucinations. In counterpoint to the elegant investigations of what makes us human, this volume also includes pieces the celebrate Sacks’ love of the natural world, from ferns and gingkoes to lake swimming, from radioactive elements to gefilte fish. This final volume of essays brings together a remarkable range of uncollected and previously unpublished pieces, exemplifying his wide-ranging passions and versatility as a writer. Why You’ll Love It: Including essays from Alexander Chee, Kiese Laymon, Carmen Maria Machado and more, this collection is just as fascinating as its title suggests. Description: In the early 2000s, as an undergraduate, Michele Filgate started writing an essay about being abused by her stepfather. It took many years for her to realize what she was actually trying to write about: the fracture this caused in her relationship with her mother. When her essay, “What My Mother and I Don’t Talk About,” was published by Longreads in October of 2017, it went on to become one of the most popular Longreads exclusives of the year and was shared on social media by Anne Lamott, Rebecca Solnit, Lidia Yuknavitch and many other writers, some of whom had their own individual codes of silence to be broken.